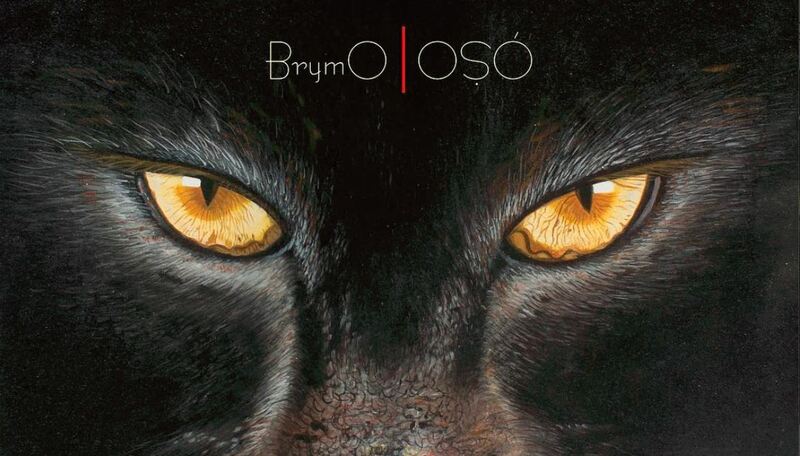 Even by standards of critically uncool music, Brymo’s Oso album is not cool. There was once a time when music branded as “alternative” just needed a well-told relatable story, but those simple times are over. The alt music scene is now self-aware introspection set to slinky Afropop and Adekunle Gold singing blues about love and life in the wilderness. It makes Brymo’s latest album a complete anachronism, and potentially more charming for it. OṢÓ is now available for pre-order on iTunes and Amazon, you can also pre-order cd at the link in my bio… in stores everywhere from the 27th of March!!! The lead single off the album, “Heya!” came pre-marketed with a music video, depicting Brymo in nothing but a san bushman leather pouch. Though the video put Brymo at the top of Twitter conversations, the song’s message was sidelined for fandom debates on the singer’s ‘wokeness’, a fitting depiction of the song’s message about the dangers of ignorance; “Some Dey Talk And Some Dey Walk, And Time Just Dey Pass Us By”. This is not surprising, given the singer’s willingness to juice up otherwise bland songs with pseudo-conscious lyrics and play PR ball. 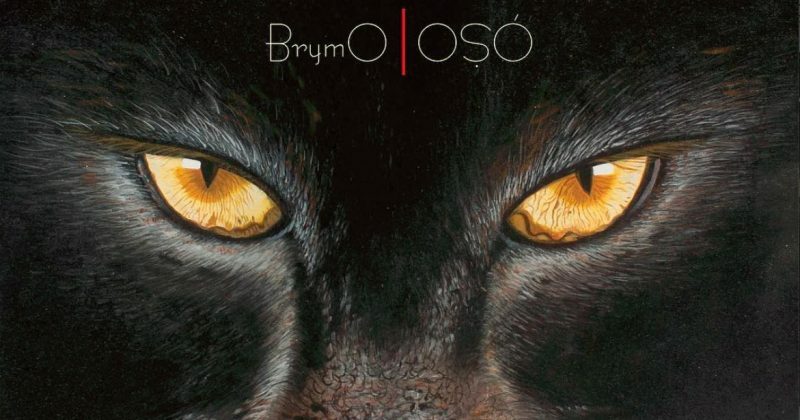 Speaking on his latest LP, Brymo told Pulse “there’s not been one Nigerian in history with my songwriting prowess or vocal dexterity or even stage presence.” This cynicism is what drives Oso’s exquisitely preachy 11-track album with blues-folk influences. Opener, “No Be Me” finds the singer anchoring a hearty chorus around dark and world-weary lyrics: “We Dey Point Finger At Each Other, But No Be We Create The World Oh”. Save for the understated groove of the horns and electric guitar harmonies and drums Mikkyme Joses produces for all the tracks on the album, his songwriting dooms listeners to reflect on the world around them. On “Mama”, the second track, he nobly sets out to reassure listeners that we don’t live in uncertain times because times have always been uncertain. “Patience and Goodluck”, one of the few optimistic cuts from the album, keeps OSO’s encompassing melancholy with a comforting underlying message; “If You Wait, You Go Soon Find Out Say Good Time Go Come Again”. But sung over the somber percussion, violins and other orchestra-esque harmonies, his breezy euphoria is barely glimmering. However, self-love advocating track, “God Is In Your Mind” showcases the richness of Brymo’s optimistic baritone, as he sings with the boyish vigour of a young preacher. Here, the chorus is the most potent element in the build up and composition; “For The First Time, God Shall Be Without A Name/ We’ll No Longer Look For Self in Every Mirror/ For The First Time, God Is In Your Mind”. Brymo stays true to folk music’s evergreen topics of wanderlust, love and search for nirvana. But he tackles them with a graceful economy of language and fine gradients of emotions. Take “Money Launderers and Heart Breakers”, the 8th track on Oso. Accompanied by Mikkyme Joses’ haunting production, he describes an empathy decay by explaining that everyone—including himself—is too rotten for love; “We’re Pretty Outside But We’re Ugly Inside”. Brymo works well with resignation and regret, to the extent that on “Time is So Kind”, he offers consolation for past failings by belting out “We’re All Blind! Blind! Blind! Blind!” over the catchy combination of electric guitar harmonies, horns and drums. Though it’s not the most uplifting song, with the solo electric guitar interlude, it’s the type of song that can really lift a concert to feverish heights. At a time when traditionalists are treated as the avant-garde, Brymo closes Oso with three tracks sung in Yoruba language. All three tracks, “Olarewaju”, “Olumo” and “Ba’nuso” continues his preference for offering pseudo-intellectual counsel. Musically however, it shows how Brymo manages inclusivity with his style of pop, using familiar sentiments from the past to bring the dignified melancholy of old-school Yoruba folk right up to the present.